This tip is for those of you who’ve updated to Windows 10 Creators Update (version 1703). 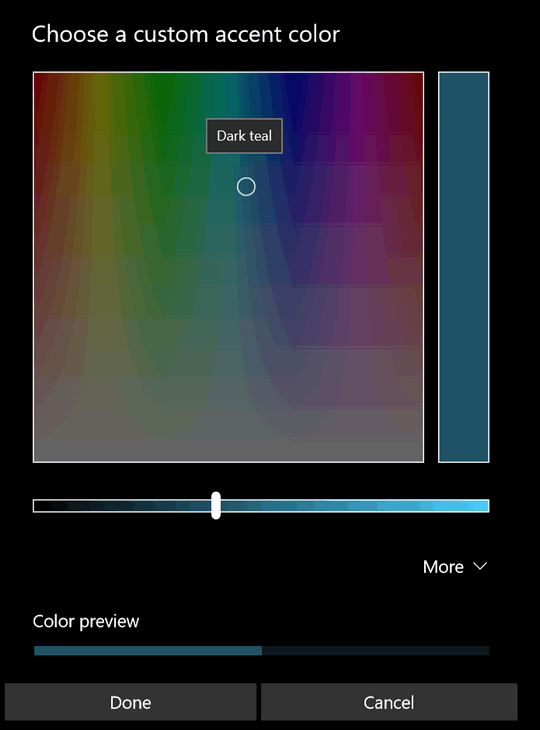 In previous versions of Windows 10, you could let Windows choose a color from the background on our desktop, or pick one of a few dozen preset colors. 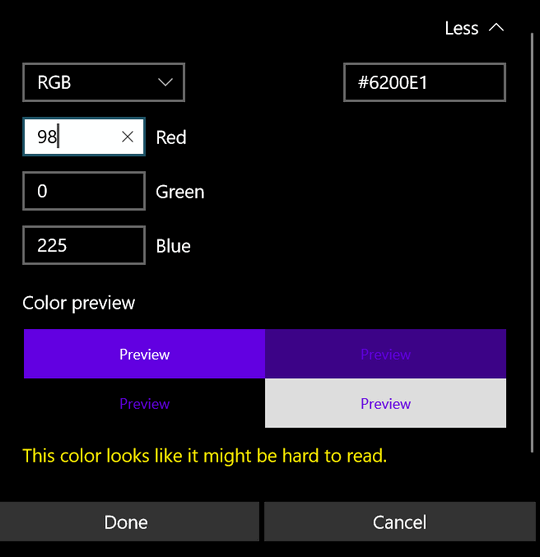 In Creators Update, you have the option of creating your own custom colors using a simple color mixer. You can use RGB (Red, Green, Blue) or HSV (Hue, Saturation, and Value). You can play around with this until you find exactly the color you want. Notice, Windows will tell you when it thinks you’ve chosen a color that will be “hard to read”. However, do not let that discourage you; it says the color I chose (dart teal) might be hard to read, but I’ve not found it to be so. 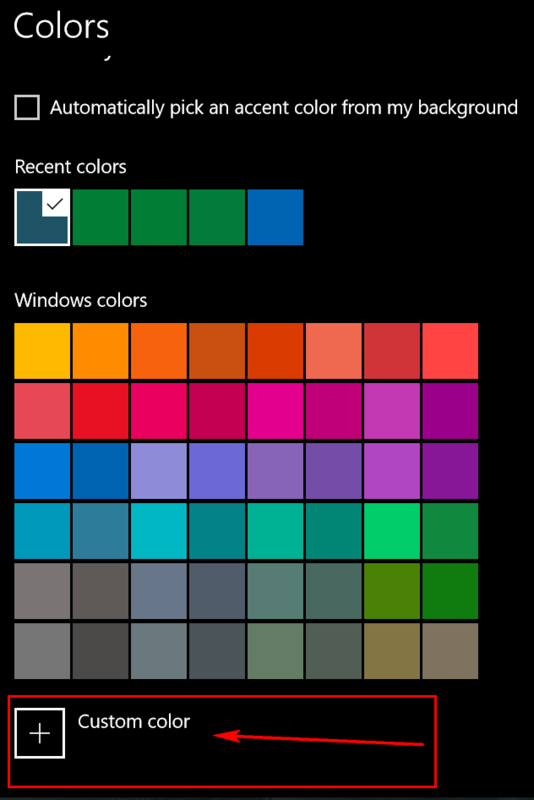 The color you choose will be the color of the background on your start menu, title bars, taskbar, etc. Have fun. Now go color your Windows world.